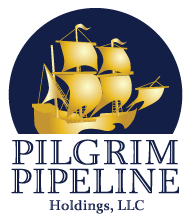 Is your company interested in working on the Pilgrim Pipeline Project? By completing this Contractor, Supplier and Vendor Registration Form, your company’s information will be retained and referenced for upcoming work and you will be subscribed to our Contractor, Supplier, and Vendor Communications List. What is the main service that your company provides? Please provide information on two completed projects within the last 5 years related to the type of service your company proposes to provide. For each of the jobs listed, please include a contact name and e-mail for reference.